As a blogger, you are constantly looking for more exposure. Writing guest posts for blogs is a great way to gain online reputation among the audience of your niche. However, with the Panda, Penguin and Hummingbird updates from Google, publishers are far more careful and particular about what they publish on their website. We recently posted on how blog owners should deal with guest posts on their blogs, today we’ll take a look at how writers can write effective guest posts that will never be rejected. Even though some publishers no longer accept guest posts, many still do, but with a tougher acceptance criteria. So what really makes a guest post great? Today we share with you 5 tips on how to write the perfect guest post that never gets rejected. Firstly, as mentioned above, not all publishers accept guest posts. So you need to be certain of their stance towards guest posts before working on it. 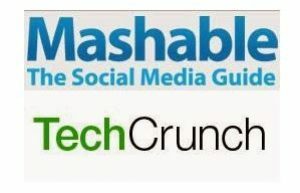 Secondly, as tempting as it may be to submit your post directly to Mashable or TechCrunch, it would be very difficult to get yourself published there without building up your online reputation first. It would be like expecting a promotion on your first day at work. So do aim at getting published at these sites, but start with smaller sites with lower PR where you have better chances of getting published. If you’re writing on a topic that has already been covered by hundreds of blogs online, multiple times, you’re not giving your audience anything interesting to read, nor are you giving the publishers a reason to consider you. Be creative with your choice of posts. Even if you produce low-quality content, don’t worry about it. It will gradually improve. Keep in mind that when you’re writing on a certain topic, do your research and use facts for your argument. No one cares what your opinion is, they are interested in the facts. Use expert quotes, charts and research to build a sound argument for yourself that would convince the readers. Since you are writing for someone else, you need to follow their rules and regulations. Take a look at the blogs regulations to create content that matches their requirements. Do give special attention to the link exchange protocols they have established. You don’t want to give yourself a bad name by violating them and end up getting your article rejected as well. Add links that make sense at the location even a twitter account or a link to your blog’s homepage would do, but not a link to a random company page. It’s categorized as a bio. Know what’s up in the blogosphere. Keep track of what’s popular among your readers. Even if you are being creative with writing about something that used to be popular quite a while back or has a short term lifetime, you’re not helping yourself. Go for article that people read today and will continue to read in the days to come. It’s the easiest way to generate reliable long term traffic from a single blog post. A good guest post always gathers comments from the readers. Follow them. Take their feedback. Sometimes they can give your valuable input that can eventually improve your writing and researching skills. Answer their questions, for it strengthens the bond between you and your readers. Interact with them and build a reputation for yourself among your target audience. If you follow these tips well enough, you can write the perfect guest post that will never be rejected. However, these skills come with time and practice, so if you’re a starter and had to face rejection from publishers, learn from your mistakes and work better the next time. So what do you do to write the perfect guest post? Let us know in the comment section below!